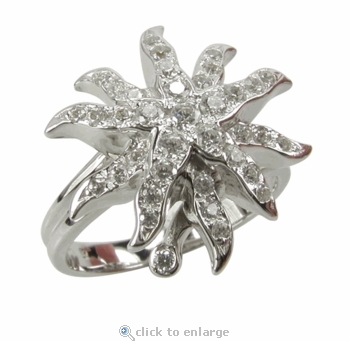 Our Sunburst Pave Set Round Cubic Zirconia Cluster Ring is full of sparkle! 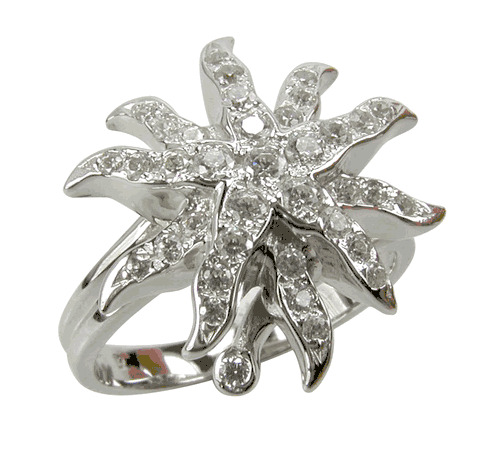 This cluster ring features a sunburst effect that features pave set diamond look cubic zirconia round stones that are all hand cut and hand polished for maximum sparkle. 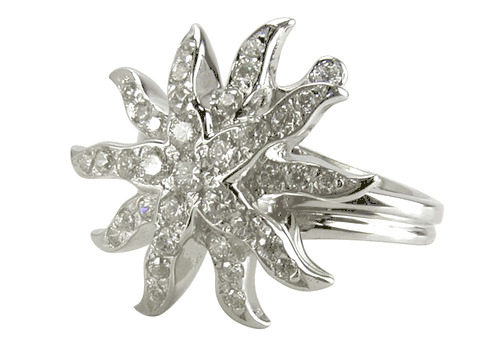 The Sunburst Cluster ring from Tiffany And Company inspired many designs with the sunburst theme. This cluster ring includes a total carat weight of approximately 1.5 carats of the finest diamond simulants available. The top of this cluster ring measures approximately three quarters of an inch diameter and is pictured in solid 14k white gold. We offer a variety of cluster type rings in addition to a large selection of engagement rings, cocktail rings and wedding bands. Our attention to detail and quality craftsmanship assure you will receive the best possible finished product.